From head to toe, and all points in between, the Welsford faux leather power reclining sofa in walnut brown has got you covered with chic style and sumptuous comfort. 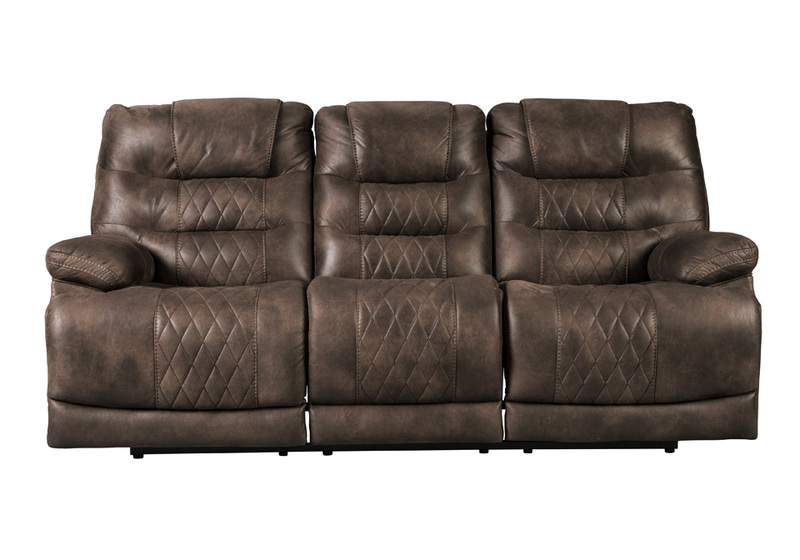 A reclining sofa designed to respond to your every move, it includes not only an Easy View™ power adjustable headrest—allowing you to recline and still have a great view of the TV—but also power lumbar support to get you feeling back on track. 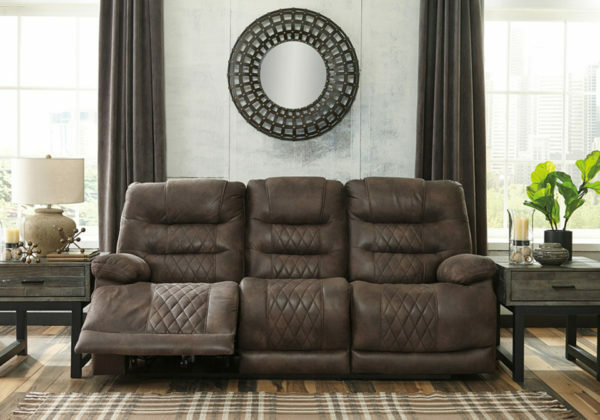 Merging the cool look of leather with the warm feel of fabric, this power reclining sofa’s enticing upholstery is enhanced with distinctive diamond lattice stitching for fashion-forward flair. 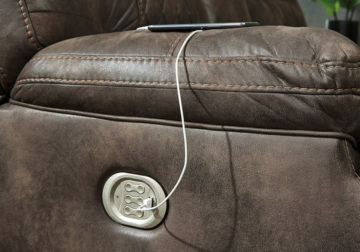 Perks such as an easy stretch extended ottoman and USB charging port in each control panel extend your comfort level. Frame constructions have been rigorously tested to simulate the home and transportation environments for improved durability. Components are secured with combinations of glue, blocks, interlocking panels and staples. Stripes and patterns are match cut. All fabrics are pre-approved for wearability and durability against AHFA standards. Cushions are constructed of low melt fiber wrapped over high quality foam. Features metal drop-in unitized seat box for strength and durability. All metal construction to the floor for strength and durability. 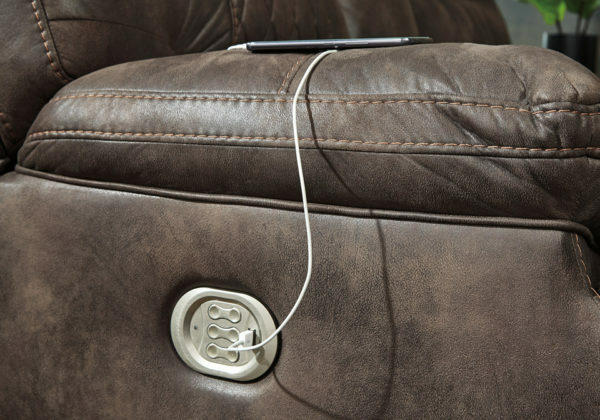 The power reclining mechanism features infinite positions, power tilt head rest, power lumbar for infinite comfort and a USB Charging Port in the power control. The style features lattice stitching in the center of the chaise seat and back Jumbo Stitching.